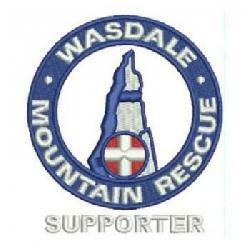 We were called by Police about reports of 2 kayakers on Wastwater, one of whom had capsized. Whilst the person in their boat made it to the road side of the lake, the other one was believed to be on the Screes side. A team member set off from the pump house and located the canoeist in the area of the boulder field. Cumbria Fire & Rescue also attended and launched their boat which recovered the kayaker and 2 team members and took them back to cross walls.